Home Behind Enemy Lines Prison Stories Leonard Peltier’s safety in jeopardy! I am so OUTRAGED! My brother Leonard was severely beaten upon his arrival at the Canaan Federal Penitentiary. When he went into population after his transfer, some inmates assaulted him. The severity of his injuries is that he suffered numerous blows to his head and body, receiving a large bump on his head, possibly a concussion, and numerous bruises. Also, one of his fingers is swollen and discolored and he has pain in his chest and ribcage. There was blood everywhere from his injuries. We feel that prison authorities at the prompting of the FBI orchestrated this attack and thus, we are greatly concerned about his safety. It may be that the attackers, whom Leonard did not even know, were offered reduced sentences for carrying out this heinous assault. Since Leonard is up for parole soon, this could be a conspiracy to discredit a model prisoner. He was placed in solitary confinement and only given one meal per day. This is generally done when you won’t name your attackers. Incidentally, being only given one meal seriously jeopardizes his health because of his diabetes. Prison officials refuse to release any info to the family, but they need to hear from his supporters to protect his safety, as does President Obama. His attorneys are trying to get calls into him now. This attack on Leonard comes on the heels of the FBI’s recent letter, prompting this attack by FBI supporters as an attempt to discredit him as a model prisoner. Anyone who has been in the prison system knows well that if you refuse to name your attackers or file charges against them, then you lose your status as a victim and/or you are given points against your possible parole and labeled as a perpetrator. It is not uncommon – in fact, is quite common – for the government to use Indian against Indian and they still operate under the old adage, “It takes an Indian to catch an Indian.” In 1978, they made an attempt to assassinate him through another Indian man who was also at Marion Prison with Leonard. But Standing Deer chose to reveal the plot to him instead of taking his life – in exchange FOR A CHANCE AT FREEDOM. When Standing Deer was released in 2001, he joined the former Leonard Peltier Defense Committee as a board member. He also began to speak on Leonard’s behalf until his murder six years ago today. Prior to his murder, Standing Deer confided with close friends and associates that the same man who visited him in Marion to assassinate Peltier had come to Houston, Texas, and told him that he had better stay away from Peltier and not have anything to do with him. We are aware that currently the FBI is actively seeking support for the continued imprisonment of Leonard Peltier and also seeking support from Native People. So please be aware, and keep Leonard in your prayers. The FBI is apparently afraid of the impact we are having. If they will set him up to blemish his record just before a parole hearing, what will they do when it looks like his freedom will become a reality? We need to make sure that nothing happens to him again! Please write President Obama. Send your letter priority or registered mail. Email him through his new website WhiteHouse.gov. Call your congressional representatives and write letters, not email, to them. Do what you can to get the word out to insure that Leonard Peltier is receiving adequate medical attention for his injuries. I am asking you, supporters of Leonard and advocates for justice, at this time to help. I don’t know what else to do. Please help! Thank you. Betty Peltier-Solano is the executive coordinator of the Leonard Peltier Defense Offense Committee. DEMAND that Leonard Peltier, No. 89637-132, be treated with dignity and respect. Let the Bureau of Prisons know that the public will hold them accountable for the safety and wellbeing of Leonard Peltier. Thank you to all supporters for taking action on Leonard Peltier’s behalf. Our work isn’t done. Don’t stop now! Peltier attorney Micheal Kuzma described Leonard’s injuries during an interview Wednesday on American Indian Airwaves – it’s the last 20 minutes of the program. Thus far, neither the attorneys nor Leonard’s family members have been able to speak directly with Leonard. According to a letter received from him, the attack occurred on Jan. 13. Leonard believes he may have a concussion and he’s suffering from headaches that are a direct result of the beating. His middle finger on his left hand may be broken. He has a large bump near his right wrist. He is experiencing pain in the area of his right rib cage and chest, which is bruised. Under the U.N. Universal Declaration of Human Rights, Leonard has rights. Under the U.N. Standard Minimum Rules for the Treatment of Prisoners, Leonard has rights. Under the Geneva Convention relative to the Treatment of Prisoners of War – because, as we know, the Indian Wars are not over – Leonard has rights. Also, write to your senators and your representative in Congress. See http://www.congress.org to identify and locate your Members of Congress. Also consider sending a video message. See http://www.congress.org/congressorg/mailapp/ for directions. Write to the print and electronic media. Find you local media outlets at http://www.newslink.org. Letters to editors also can be made easy through free online services such as PublishaLetter.com. In a few clicks your letter will be on its way to the editor of your choice. Last night a change in this country took place that not too long ago many people said would never happen. An African-American was elected to the White House and by a major landslide, which gives him a mandate by the public to fulfill his promises. This landslide indicates the people have placed their hope with this man they call their president for a change in this country. HOPE. There have been times – if I can even recall what it really means to have hope that justice is right around the corner – I’ve been mislead and disappointed so many times that I would soon see justice and then have it denied upon a technicality in legal appeals. Or like what happened eight years ago. Everyone placed their hope and trust with a couple named Bill and Hillary, but we were betrayed at the last minute. I know that many of my friends, family and supporters were crushed. I began to feel the weight and pressure of a lifetime being unjustly imprisoned. It began to crowd me into a corner of my cell and then in my mind. But it was this thing that has been our battle cry for so many years: “In the spirit of Crazy Horse.” I remembered what he stood for and how he remained a warrior until his last breath. It is a strength that we stand upon when we are right. We were right to be in Oglala and we were right to be prepared to defend ourselves. What wasn’t right is that a jury never got to hear any of this testimony, and the rest of the trial was a product of the fabrication and then manipulation of the FBI. This spirit of Crazy Horse is a spirit of being in total resistance to the wrongs perpetrated towards your people, community, family and yourself. Some of us called it outrage, but that is just merely an emotion without resolving the issue. It is when we make a conscious choice to try and balance the wrongs in this society that we are being compelled by this spirit of resistance to stand in defense of the wronged. That spirit cannot be conquered, and I refused to submit and give in when it appeared there may be no hope. It was because of the letters of support and encouragement from so many people that I continued on for another eight years. And now people seem to feel there is a change blowing in the wind and that the election of Obama is a manifestation of that change. This spirit of Crazy Horse is a spirit of being in total resistance to the wrongs perpetrated towards your people, community, family and yourself. It is when we make a conscious choice to try and balance the wrongs in this society that we are being compelled by this spirit of resistance to stand in defense of the wronged. I sincerely hope so, because I am now 64 years old and coming up on my 33rd year of being confined and fighting for justice and my freedom. Obama may be my last chance at securing my freedom. If there is one thing I learned from earlier campaigns for my clemency, it’s that he won’t just be able to do it by himself. He is going to need your support in the form of public opinion on the case. That isn’t going to happen until we can create education and awareness on the circumstances of my case across this country and send letters. Be a Branch Support Group to help create public opinion. My case has to be a national issue on justice denied; it may sound easy, but it isn’t. The FBI has been an opposing force in attempting to discredit my cause and that of Native people since they focused their attention on the American Indian Movement in the 1970s. When it appeared that Clinton might actually grant clemency, the agents went and demonstrated at the White House and utilized their resources to create doubt in the mind of Clinton. So in the national awareness goals of the branch support groups it is going to be your challenge to keep the public interest focused. It is also another hope that with a whole generation of people who were born after my wrongful conviction that there will be a renewed source of energy and actions. I’ve served more than 30 years of this sentence and have been considered a model prisoner. And the likelihood of my committing any crimes is non-existent due to my age and the humanitarian work I’ve pursued to help my people since my incarceration. According to this law, they have to grant me a parole to my next sentence. But as we’ve learned from the past, we cannot take anything for granted, so your letters should be focused on this law to the parole commission and congressional leaders. If the commission complies with the letter and spirit of this law, we will have made a significant step towards my freedom and we will need to maintain and increase this momentum. The committee and I have been discussing several ideas and projects to make this a pro-active campaign. We are currently rebuilding the former Leonard Peltier Support Groups (LPSGs) into Leonard Peltier Branch Support Groups (LPBSGs). This is necessary due to a breakdown with the former Leonard Peltier Defense Committee. I had to turn to my sister and niece to help me rebuild my defense committee from scratch. We had no files, records or merchandise. We have not been able to make contact with the former coordinator of the LPDC. We are still hoping to resolve this issue, but until then we needed to keep moving with the campaign. We still need all of our former contacts and supporters to reconnect with us and to update the information so that my committee can handle correspondences and contributions. We need everyone who has supported me to contact the Leonard Peltier Defense Offense Committee (LPDOC) and sign onto our list serve so that you can be updated with information on progress or activities needed in my campaign. I will need everyone to work with my committee and clear any action with the appropriate people within the committee. It is important that we all work together cohesively, instead of scattering our efforts or resources. We do not intend to discourage ideas or creativity, but we would like to incorporate such ideas into a unified larger effort and not act prematurely on some plans we may have not disclosed due to timing or details being worked out. Some of the projects we have discussed are conducting rides, walks, runs and events across the country to create this awareness of my case. We are initiating efforts to ask bands and artists to host fundraisers in their area. We’ve talked about strategies we could undertake to further my cause, but a lot will depend on how quickly people come to form my Branch Support Groups and start organizing in their area. I also understand that some of us have personality issues with other people. I hope that many of you can pray or find a way to rise above this obstacle and work together for one common purpose. I would like to see so many of my supporters come together in a show of solidarity. If there really is a change in the air, we will need each other to bring about change in so many other areas. For me it has been about our culture and right to be who we are, but foremost it has been the children and the next generation. We were supposed to leave a better world behind for them and how much have we accomplished? I know that somehow and someway my sacrifice will not be in vain and that the years I’ve endured this pain of loneliness and suffering in confinement will make a better world for those children and coming generations. That along with my freedom is my hope, but I will not be able to fulfill it without you. So take a few minutes and educate yourself on the injustices of my case. It may shock and outrage you, but you can do something about it, so join us. For more information and to get involved, contact the Leonard Peltier Defense Offense Committee, P.O. Box 7488, Fargo, ND 58106, Phone: (701) 235-2206, E-mail: contact@whoisleonardpeltier.info. 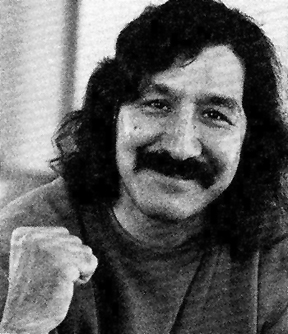 And send our brother some love and light: Leonard Peltier, #89637-132, USP-Canaan, US Penitentiary, PO Box 300, Waymart, PA 18472. 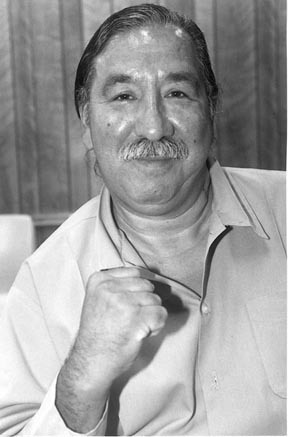 Jan. 23, 2009 – The welcome news that President Obama is taking steps to shut Guantanamo and right other Bush-era human rights abuses must quickly be joined by a proclamation of freedom for Leonard Peltier. Peltier is the nation’s best-known Native activist and has become a global symbol of abject injustice and prison abuse. Imprisoned in the late 1970s for allegedly murdering two FBI agents, Peltier has never been given a fair trial. Federal authorities have quashed or destroyed thousands of pages of evidence that might have freed Peltier decades ago. Now 64 years old, Peltier is suffering from diabetes and a series of other serious ailments brought on by his decades in prison. He has great grandchildren he has never seen. His case is the centerpiece of the book “In the Spirit of Crazy Horse” by Peter Matthiessen. Reports from Betty Peltier-Solano, Leonard’s sister, now assert that Peltier was severely beaten during a recent transfer to the Canaan Federal Penitentiary. According to Peltier-Solano, he has been held in solitary confinement and limited to a single meal a day, a serious threat to his health due to his diabetes. Over the decades Peltier has been a model prisoner, concentrating on his art and writing. His commitment to Native American rights has been consistent throughout the years, though he’s been repeatedly denied media access. The political involvement of the FBI is itself an issue the president must address. At the very least Peltier should be freed on bail pending a new trial, with a concerted effort on the part of the new Department of Justice to unearth all suppressed evidence in this case. 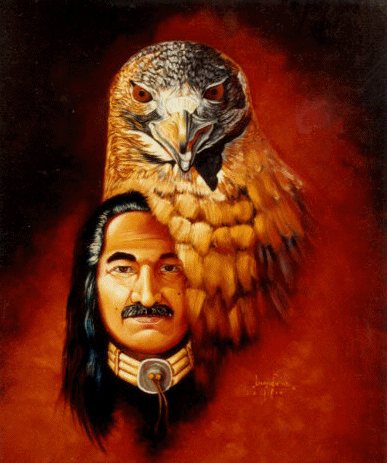 Leonard Peltier has languished unjustly in prison far longer than those held in Guantanamo. It is time to set him free! To find out more, contact the Leonard Peltier Defense Offense Committee at http://www.whoisleonardpeltier.info/. Bob Fitrakis and Harvey Wasserman have co-authored four books on election protection, which appear at http://freepress.org/, along with Bob’s “Fitrakis Files.” Harvey’s “History of the U.S.” is at http://harveywasserman.com/. This article was originally published by http://freepress.org/. If Barack Obama freed Leonard Peltier, I might reconsider my pessimism about his presidency. I think the 30 year law looks good for Leonard. I hope he has competent legal counsel. I know he has a lot of support on the streets. I will write the letters. Please keep us updated through the Bayview, at times our only source of information! Right about now I think I need to re-read In the Spirit of Crazy Horse. Thanks for that. Leonard has been transferred back to USP-Lewisburg and released to the general population. He was welcomed back not only by the brothers at Lewisburg, but by all of the prisoners. Leonard wishes to thank all of his supporters for standing with him during this difficult time. But we need to finish the job. Thank you for posting the update. What a relief, though you’re right that it’s long past time to set him free. I just mailed him his copy of the February Bay View – he’s been on the mailing list for years. He’s a giant, a great inspiration! this is some real bull he has every right to be treated and for those who beat him they will pay and i will make sure of it .. we natives have our own ways to deal with things .. my prayers go out to his family and supporters ……obama better free him he has coloar to his skin to ….. When Obama was elected, one of my first thoughts was that perhaps there will be a “change of climate” in Washington that might finally be willing to take a clear look at Leonard’s case and grant him clemency. I have had NO respect or trust for Clinton since he failed to grant clemency on his way out of office. It was interesting to read some of the reasons why on this website. I will continue to hold Leonard in my prayers, and honor him for his courage. He is truly the “Nelson Mandela” of the United States. I pray that he, too, will someday walk free and have many years to enjoy his life and, hopefully, some acknowledgement for his clarity and courage for these many years. Leonard Peltier is a murderer. Every court who has reviewed this case has stated that he is guilty. Before he was arrested, he shot at another cop, but fortunately missed. His recent comment “Death be upon you, FBI” shows his murderous instinct. There’s so many worthy causes out there, it baffles me that people would spend so much time and energy on someone like this. I’m sure my post will be taken down because you wouldn’t want opposing views to be heard. Angelo is entitled to his own opinion, but he is not entitled to his own facts. If he would actually read the facts of this case he would be as outraged as the rest of us. If he is baffled why so many people would expend so much energy on this case, he has a confused sense of justice. I hope he and everyone will review this case with honesty and an open mind. Should he ever come before a court Angelo would want a fairer trial than Leonard got, and so would I.